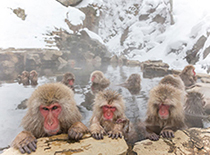 Buses are convenient for visiting tourist spots in Togakushi Kogen such as beautiful mountain "Togakushiyama", the power spot "Togakushi Shrine", quiet pond "Kagamiike "and so on. 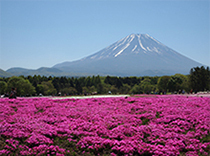 Inside the Togakushi Kogen area, you can freely use the bus for 5 days, so you can enjoy visiting anywhere you want. 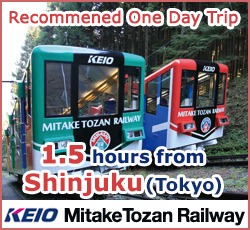 You can also take a detour to Zenkoji, not only Togakushi Kogen. 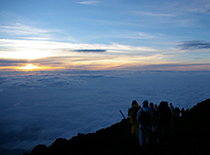 When you talk about Togakushi, two things come to your mind are Soba noodle and Togakushi-kodo(trail). 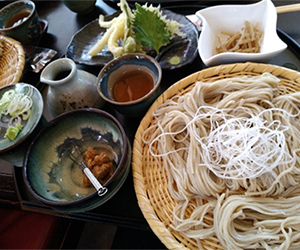 Do not miss eating Soba noodle in Togakushi. You can taste one of the best soba noodle in Japan! You will see soba noodle restaurants all over the place in this area. 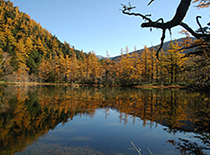 Togakushi trail is such a healing place. You can gain lots of energy just by walking through greenery trees and feeling the sun shining through trees. 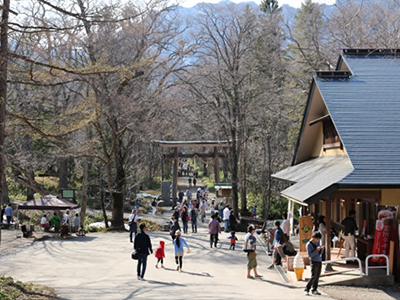 If you walk through the forest for 40 minutes, you will arrive at Togakushi Shrine known as a power spot. 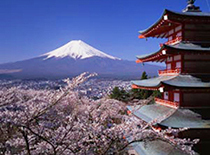 Zenkoji Temple has been primary center of Buddhist faith in Japan for 1400 years. 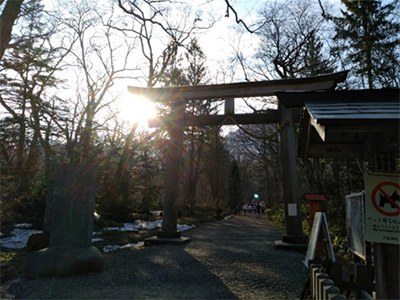 The non-sectarian temple sometimes referred to "Shinshu Zenkoji Temple" to differentiate from other temples named Zenkoji. As believed that a visit there once in a lifetime will ensure a passage into the Land of Happiness, it attracts a number of pilgrims all over the world. 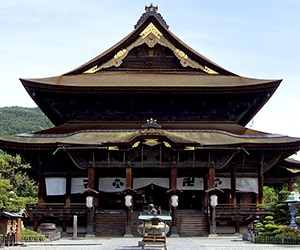 It is worth visiting in Nagano to see the majestic Buddhist architecture of Edo period which has been registered as the National Treasure of Japan. 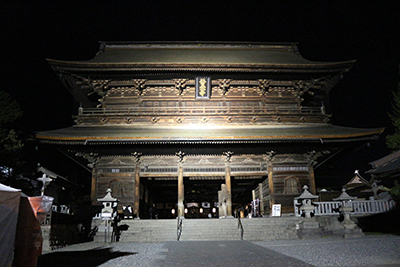 Visiting Zenkoji temple at night is another way to enjoy the temple. The temple is lit and presents mysterious look. 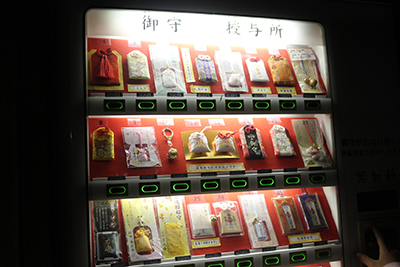 Shops in the temple are all closed, but you can still purchase good luck charms at a vending machine.